Get started on a great PC build with this Ryzen 7 and MSI B450-A Pro motherboard combo for $290 at Newegg. Newegg’s offering a juicy discount on PC parts that can serve of the heart of a computer built for productivity or playtime. 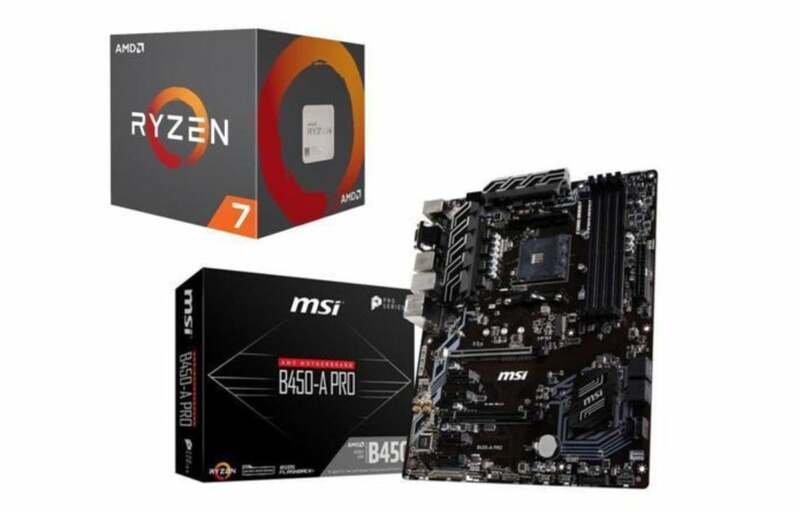 The online retailer is selling the powerful AMD Ryzen 7 2700 processor with MSI’s B450-A Pro motherboard for $290Remove non-product link. That’s about $50 off what you’d pay without this deal right now, and less than the cost of the CPU alone when it launched last year. The Ryzen 7 2700 is a 3.2GHz eight-core, 16 thread CPU, with a boost clock of 4.1GHz. This thing screams at productivity tasks with all those cores, and it’s no slouch in the gaming department either. In the box you get the processor and AMD’s Wraith Spire cooler with RGB LEDs, because every gaming PC apparently needs RGB these days. The MSI B450-A Pro, meanwhile, comes with all the various features you need, including an M.2 slot, overclocking support, and two PCI-E Steel slots that are supposed to protect your graphics card against bending. It’s also rocking a solid port selection, including four USB 3.1 (Type A), one HDMI, one VGA, DVI-D, composite, and a PS/2 port for any peripherals with the classic connector. One thing that some people have complained about is that the stock Wraith cooler is too tight a fit on this board so expect to go slow when installing the CPU. It’s not clear how long Newegg will be offering this combo deal, but if you want to get a head start on a powerful new PC for work or play, this is a great set of components to start with. This story, "Upgrade your PC with a powerful 8-core AMD Ryzen CPU and an overclock-ready motherboard for $290" was originally published by PCWorld.